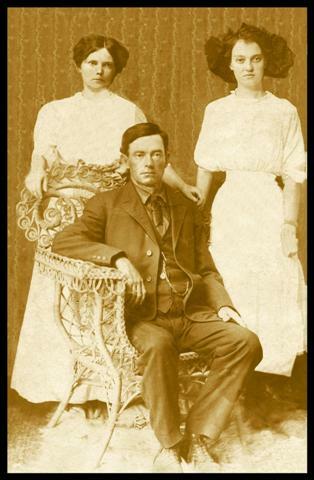 Comments: Dora McMurtrey (Nee: ) | Atoka OK United States of America | 1901-1920 | Comments: Dora McMurtrey back left. Bertha ? back right.